John O’Donoghue discusses the ethics of Setting The River On Fire – a biography of American poet Robert Lowell by Kay Redfield Jamison – whose autobiography An Unquiet Mind, first published by Random House in 1995, tells her own story of the life of a Professor of Psychiatry beset by Manic Depression. 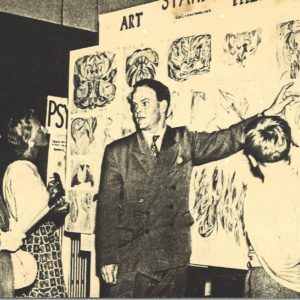 Anyone reading about Robert Lowell’s life will be struck by the privilege he inherited along with the mental instability that affected many of his ancestors. The Lowells are a family of great renown in America, and Robert Lowell could trace in his family tree James Russell Lowell (1819–1891), poet, Ambassador to Spain and England; Amy Lowell (1874–1925), Pulitzer Prize-winning poet; and Abbott Lawrence Lowell (1856–1943), President of Harvard University, 1909–33. The Lowells were also industrialists, federal judges, politicians, philanthropists. But besides bequeathing great wealth and respectability to Robert Lowell his family had a history of dark moods, which could give way to enormous exuberance, and Lowell has become almost as famous for his manic depression as for his poetry. Kay Redfield Jamison, Professor of Psychiatry at the Johns Hopkins University School of Medicine, draws on her clinical training and personal experience in her book about the poet, Robert Lowell: Setting The River On Fire, just reissued in paperback. She has written about her own history of manic depression – or bipolar as it’s called these days – as well as several case studies of mental illness, suicide and the artistic mind. It’s tempting to read her study of Lowell as a casebook. This is because she was given permission by Lowell’s daughter, Harriet, to “obtain and review her father’s psychiatric and medical records”. Nor is this the first book about one of the so-called ‘Confessional Poets’ where such records have been drawn upon. Diane Middlebrook’s Anne Sexton: A Biography used tapes made of Sexton’s therapy sessions with Dr Martin T. Orne. Who granted access to these tapes? Dr Orne himself, with the permission of Sexton’s daughter, Linda Gray Sexton. Another eminent psychiatrist went further. “A patient’s right to confidentiality survives death. Our view is that only the patient can give that release. What the family wants does not matter a whit.” This from Dr Jeremy A. Lazarus, the Chairman of the Ethics Committee of the American Psychiatric Association. I could find no similar reaction from critics or the psychiatric profession to Redfield Jamison’s book. 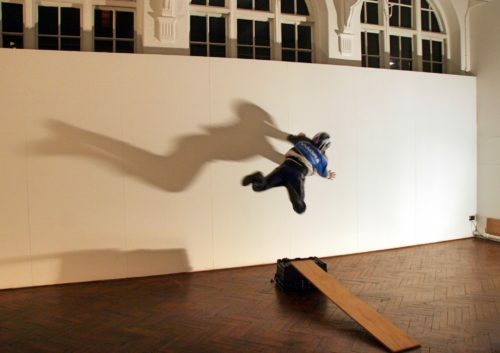 Which left me thinking: should confidentiality be considered absolute? Does it end with death? And how long before everyone’s medical records – alive or dead – are accessed by anyone who wants to know about… well, you and me? In a nutshell, does the right to know trump the right to privacy? My own view is simple. Like Lowell and Redfield Jamison I have a long history of bipolar. 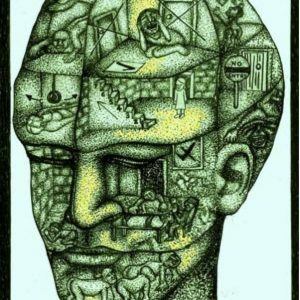 My acquaintance with mental hospitals, psychiatry, and therapy goes back over forty years. My understanding of the medical profession is that it is governed by a code of ethics founded on the Hippocratic Oath, that doctors will: ‘Do No Harm’. Part of that code surely is a profound respect for the dignity of their patients, whether alive or dead. There is no doubt that Redfield Jamison seeks to accord Lowell the poet the dignity of his achievements. She calls him a ‘genius’, and is at pains to quote from his best work. But it’s Lowell the man I had my concerns about when I finished reading her book. 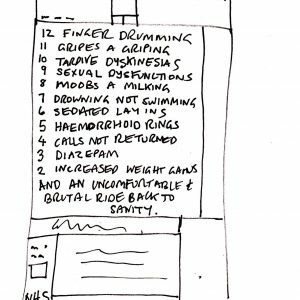 What would he have made of seeing his medical records in a book about him? I was troubled by this development, and by the extension of the boundary reset by Middlebrook in her biography of Anne Sexton. It seems the rights of the mad are eclipsed even in death. 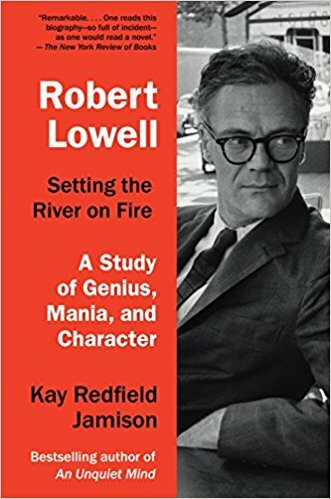 Robert Lowell, Setting The River On Fire: A Study Of Genius, Mania and Character by Kay Redfield Jamison, Penguin Random House, Paperback, 6 Feb 2018, $18.95. 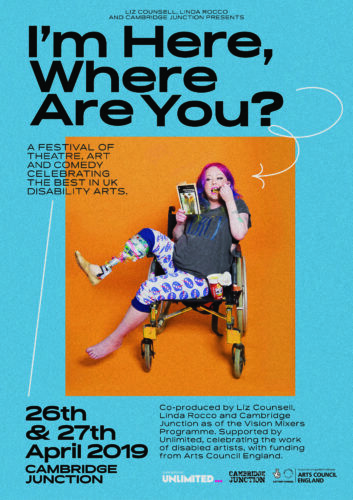 John O’Donoghue is the author of Sectioned: A Life Interrupted (John Murray, 2009), awarded Mind Book of the Year 2010. Not so cool, frankly, the idea that after death ones psychiatric record might be freely opened for anyone who wants to write a biography or anything else. I believe that I myself, and only I, have the right to so expose myself, and Franky, if I do not give permission for my records to be seen before death, or implicitly afterwards, then they should be destroyed. Thank you for this review nonetheless, and very glad you made this issue public.